"This world-renowned wine shows peachy tropical fruit and melon characters on the nose, with a hint of citrus freshness and judicious use of oak. The palate is generous and soft with full, ripe tropical flavors folded into a creamy backdrop that is beautifully structured with a long satisfying finish." 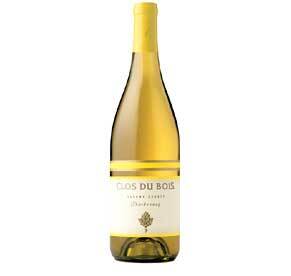 "Clos du Bois 2002 Sonoma County Chardonnay is a very fruit driven wine. Aromas of lime, pineapple, ginger, and hints of vanilla lead to bright and lively flavors of orange, ripe peaches, and nectarines. In mid-palate the wine is soft, rich, and full of vanilla and ripe Golden Delicious apple. This multi-layered Chardonnay finishes with notes of toasted almond, caramel, butter and toasty oak." "Richly aromatic and filled with the flavors of pear, red apple and honey, this well-structured wine has medium acidity and a long finish. It is the ideal choice for fish, seafood and slightly spiced white sauces." "As the pinnacle of Chateau Ste. Michelle Chardonnay, my vision for Ethos is old world complexity and elegance with concentrated Washington fruit. Sourced predominately from our vineyard at Canoe Ridge Estate, the 2004 Ethos shows the delicacy of Canoe Ridge Estate fruit, but with complexity from the natural fermentation. This Chard exhibits intriguing citrus, floral and mineral notes, which give way to an elegant, refined wine with an easy finish." "Fresh aromas of citrus, butterscotch and lemon peel open to appealing hints of jasmine and nutmeg. On the palate, rich buttercream, pear and citrus meld to create a plush, rounded middle, with toast and caramel adding richness and texture to the long, lingering finish." 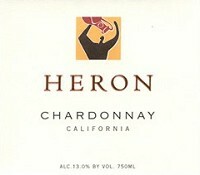 "Laely Heron was one of the first women in California to make her own wine sold under her own label. Her goal is to produce serious, soulful wines from grapes grown in the finest appellations. 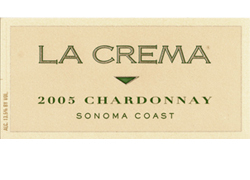 Her Chardonnay is creamy and buttery, with notes of citrus, apple and tropical fruit." "Bright tangerine and pear fruit aromas are highlighted by clove and nutmeg. This medium-bodied wine has a crisp acidity and long finish, with pear and toasty butterscotch oak flavors, and a creamy texture. Toasted Head Chardonnay is aged on its lees. By stirring the lees in each barrel once a week for six months, the wine picks up a mellow, creamy texture, and the oak flavors are softened." "For our Hogue Chardonnay, we select the best vineyard lots that have aged in our very best barrels. The wines are allowed to age 14 months on lees to develop richness and complexity. The combination of fruit intensity and barrel aging creates a wine that can be enjoyed now or held for several years. The 2004 Chardonnay has aromas of complex Chardonnay fruit, cream, well-integrated oak, brioche and a touch of allspice and almond. On the palate the wine is rich and creamy, with flavors of pear, cream, brioche, and marzipan. The wine is complex with good acidity fruit balance. 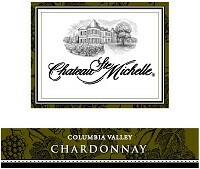 This Chardonnay should pair well with richer seafood dishes such as Dungeness crab cakes or broiled halibut. "